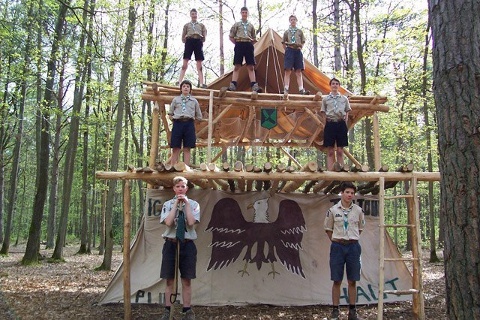 Q & A | Federation of North-American Explorers | Semper Parati! 1: Who are you (what is FNE)? FNE – Federation of North-American Explorers. We are a volunteer Catholic Christian faith-based youth movement. 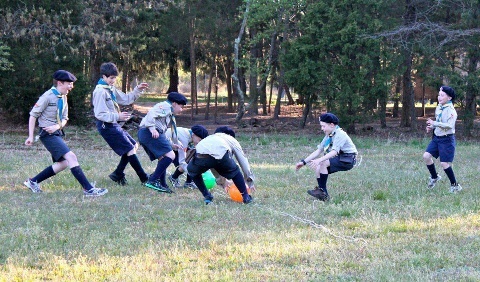 By “movement” we mean that the varied FNE program experience can help shape the character, social, environmental, spiritual, leadership aspects of your child into his or her adult life. 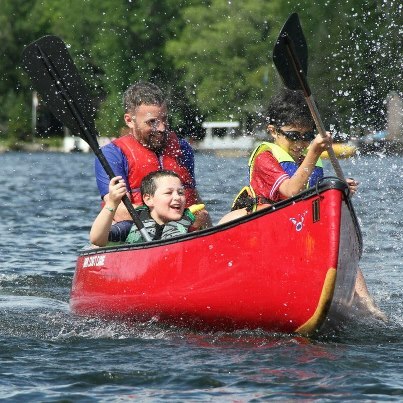 Separate single gender male or female program experiences include weekly gatherings, regular field trips, all season weekend camping opportunities, international travel excursions and an annual summer camp. 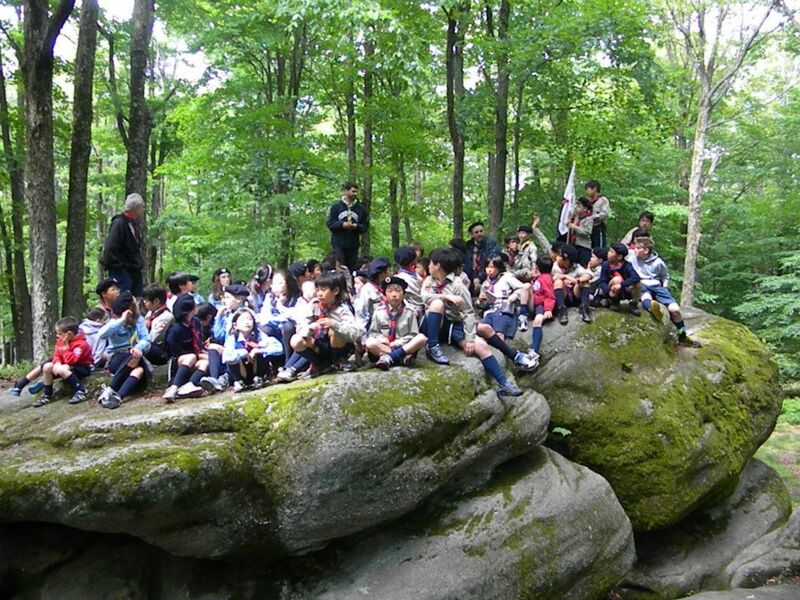 We are members of a larger movement known as the Union Internationale des Guides et Scouts d’Europe – Fédération du Scoutisme Européen (UIGSE-FSE) active in 19 countries with 55,000 members strong. Our movement is further uniquely recognized by the Holy See as an international association of the faithful of pontifical right. 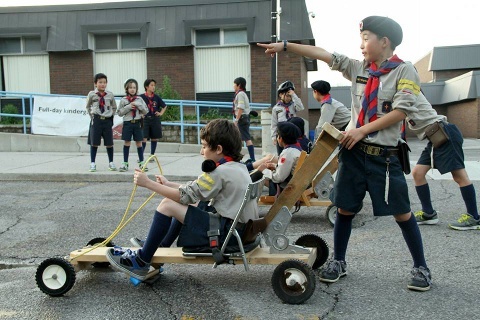 We are not affiliated with the Boy Scouts of America, the Girl Scouts of the USA, Scouts Canada, Girl Guides of Canada, WOSM, WAGGGS, the American Heritage Girls, Trail Life USA, the proposed “Scouts of Saint George,” or any other similar youth organization. 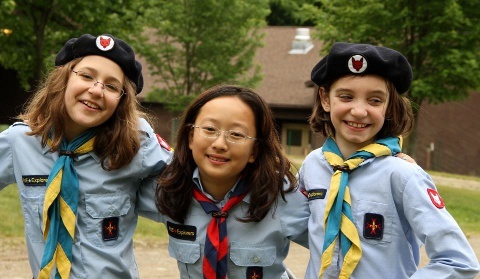 FNE offers four unique single gender program levels: Otters* ages 7 and 8, Timber Wolves ages 8 to 12, Explorers ages 12 to 16 and Wayfarer Explorers ages 17 to 26. *Otters can be co-ed if local circumstances require this -– must be approved by General Commissioner beforehand. 2: What makes you unique? We deliver a Christ-centered program experience where each member strives to become an Ordinary Saint through: love, service, hard work, dedication, honesty, integrity, compassion, courage, prudence, and by embracing the Sacraments of the Church. We hold true to our values and ideals even if society may be moving in a different direction. FNE is a Catholic faith-based youth program. The teachings and practices of our faith are interwoven into the overall program experience. We actively embrace and participate in the celebration of the Eucharist (Mass), pray together for each other, our families, and others in need such as the sick or our world leaders through vocal (Rosary), silent (Eucharistic Adoration), and song (Chaplet of Divine Mercy). Our youth are frequently invited to receive the Sacrament of Reconciliation (known to some as Confession) and grow actively in their faith through stories, service to others (feeding the poor, visiting senior’s homes), retreats and pilgrimages to places as far away as Rome, Italy! Within FNE we receive the Holy Eucharist happily on our knees and tongue* as we ponder in awe the great gift of receiving our Lord — thanks be to God! Non Catholic Christians are welcome as long as their parents recognize and allow their child to participate in the faith aspect of our program in all aspects except for the reception of the sacraments of the church. 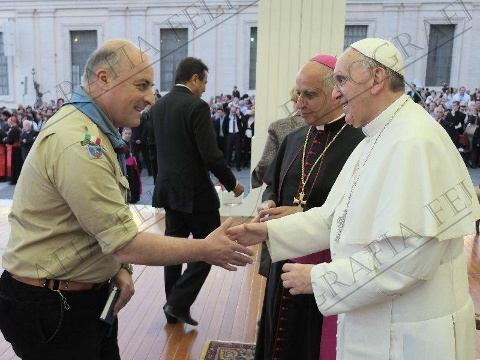 We promote respect for and recognize members of other faiths as part of our daily lives as actively demonstrated by our Holy Father Pope Francis. We are uniquely a uniformed movement (one for males and another for females). Our youth proudly wear their uniforms as part of their program experience. The norm established for the Dioceses of the United States of America is that Holy Communion is to be received standing, unless an individual member of the faithful wishes to receive Communion while kneeling (Congregation for Divine Worship and the Discipline of the Sacraments, Instruction, Redemptionis Sacramentum, March 25, 2004, no. 91). members of the faithful may choose to receive Communion while kneeling. 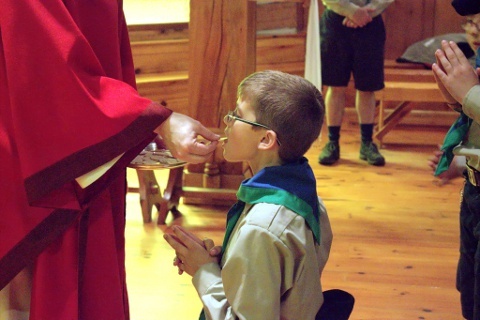 Please click here for a detailed explanation of why our youth and adult members receive Holy Communion this way. 3: What do you do? Program activities such as games, stories, leadership at the youth level, retreats, pilgrimages, camping, hiking, physical endurance activities, swimming, running, badge programs, mental developmental activities through problem solving, hand / eye coordination activities, learning to work and live with others from different cultures, Holy Mass, confession, prayers, along with Explorer ceremonies all come together to enable and deliver the exciting, challenging and dynamic Explorer program. We further stress a sense of brotherhood, sisterhood, love, respect, appreciation, joy, beauty of nature, importance of family as illustrated by the Holy family -– Jesus, Mary and Joseph, the value of suffering and more throughout the program experience. 4: Why Should My Child Join FNE? At the core of our movement are values which teach every participant what it means to become a fully formed man or women. Our youth learn the importance of meeting life’s challenges with an increased sense of responsibility, so as to be better suited to live, work, and play with youth from other cultures and life experiences. 5: What is the difference between FNE and other organizations? We are an all-volunteer based Catholic faith youth movement. All funds raised support our youth and the delivery of their program experience. Our movement remains true to its values, principles and ideals even during challenging times. 6: How about volunteer screening? All volunteers must undergo a background Police check, complete a membership application, provide references and be on probation for a six month period. Volunteer adults are there to serve and care for the youth enrolled into our FNE family. 7: Are local groups linked to a Parish? 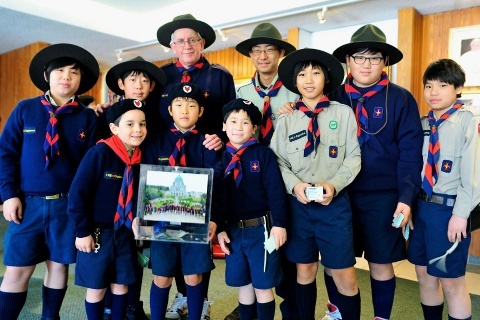 Ideally yes, each group has its home parish to participate in and to receive the sacraments of reconciliation and the Eucharist through Holy Mass. Groups typically meet in school gyms rather than church halls due primarily to demands on church facilities and suitable space for the youth to run and play in. Membership is NOT limited to members for any particular parish. 8: How often do you go camping? Every season fall, winter, spring and an annual summer camp that varies in length pending age of youth and available leader resources. Summer camps or international trips can last up to 21 days in length. Younger youth (Timber Wolves) are housed in heated cabins; older youth such as Explorers are often housed in tents or even homemade survival structures with adequate training and adult supervision in place. Youth with support of their parents who are supportive of the Catholic Christian confessional nature of the program delivered by FNE. 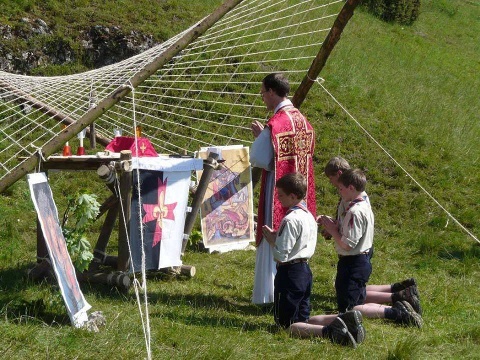 Youth who profess a specific non-Christian faith belief or are members of a non-Christian faith cannot be admitted as members out of respect of their family beliefs and religious practices as the FNE Explorer program at every level acknowledges Jesus Christ as their saviour and that they are a child of the Holy Trinity. 10: As a parent what is expected of me? Parents will support their child in having their son or daughter participate in the FNE program, wear neatly and completely the designated uniform and support FNE community service projects and fundraisers on a regular basis. 11: How is FNE funded? We are a registered not for profit charity. We seek donations from corporations, private individuals, yearly membership fees and local group fundraising activities such as pancake breakfasts at parishes, raking leaves in the fall, tag sales at local area plaza’s and a spaghetti and movie night. 100% of funds raised directly support the FNE movement given that all leaders and board members are volunteers who donate their time and services. 12. How is FNE related to the Catholic Church? We are recognized as a private association of faithful of pontifical right by the Holy See as well by the local dioceses* as a Catholic Lay Movement. (*For newly founded groups this approval is pending.) The church supports the faith development aspects of our program while bringing to our youth and their leaders the sacraments of the Holy Eucharist and Reconciliation (confession). 13. How big is FNE? 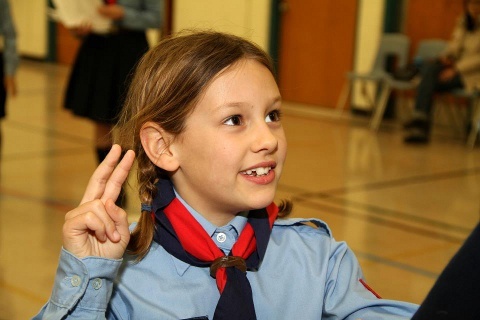 We are as noted above members of our home movement called the International Union of Guides and Scouts of Europe (also known as the FSE) some 55,000 members strong and growing in 19 countries. FNE is active in Canada — Toronto, southern York Region (founding group), Ottawa, and Québec City — and in the USA in Philadelphia as well as more than 10 additional locations, with a membership of nearly 600. 14. Is FNE a Uniformed Movement? Yes, uniquely and proudly so. 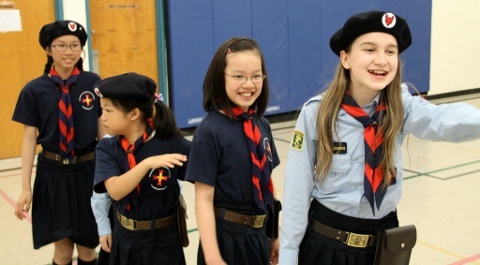 Our youth and their leaders wear a uniform that their brothers and sisters wear in Europe, one for girls (blue tops, skorts and knee socks) and one for boys (tan tops, shorts and knee socks). 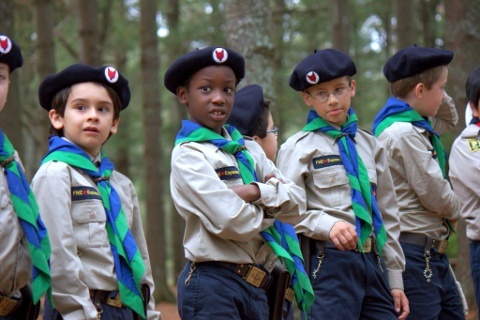 Timber Wolves wear berets while Explorers and leaders wear Stetsons (campaign hats) or berets (local choice option). Special belts are worn along with a one decade rosary and for timber wolves a pouch and rope. 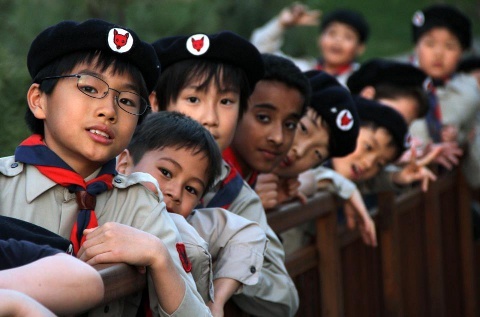 This unique uniform is worn by all youth and leaders without exception. Expansion of our Catholic faith based FNE movement is undertaken with careful consideration and on a small scale basis with quality before quantity being a key factor. We seek out the right leaders who will ensure the sustainable success of a new FNE group while ensuring that the quality of the FNE program is never compromised or under-delivered. FNE, its name, symbols, manuals, programs, affiliation are copyright and trademarked. No one is authorized to speak on behalf of FNE other than its General Commissioner or his authorized delegates, or the President of the FNE Board of Directors; nor is anyone authorized to start up an FNE Group or Chapter unless authorized beforehand by the FNE General Commissioner.